I like open spaces. I like quiet. I like getting back to basics and having time to think and declutter my ever manic head. I like simple living and I adore being outside. So when I discovered Elmley nature reserve while aimlessly surfing the Internet and recovering from pleurisy in January 2015, I struck gold. I booked immediately. 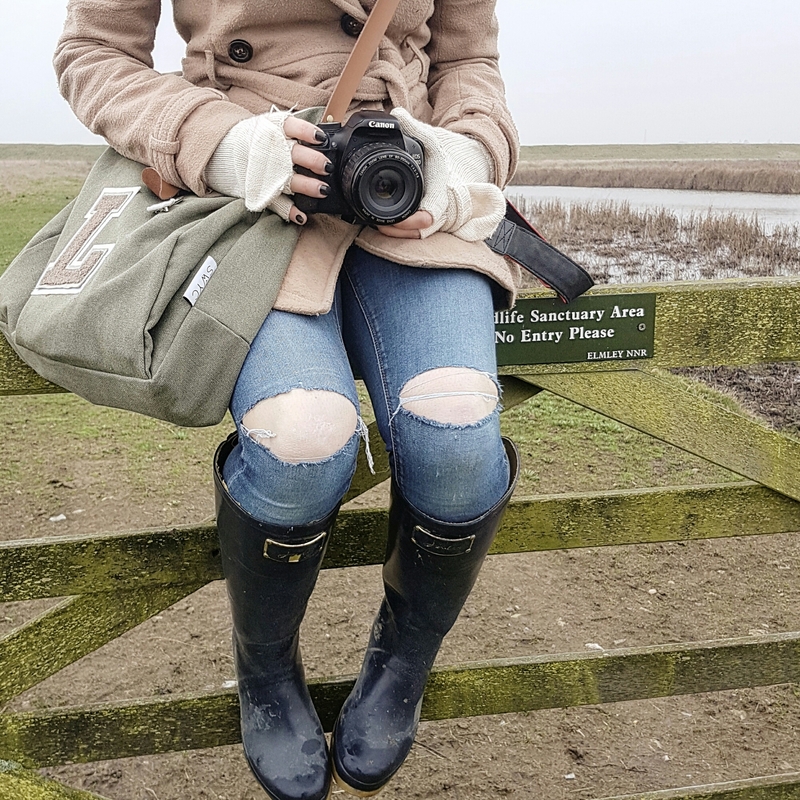 We stayed at Elmley in July 2015 and thought it was an incredible and inspiring place, so when I was given an opportunity to return this February, I snapped it up. 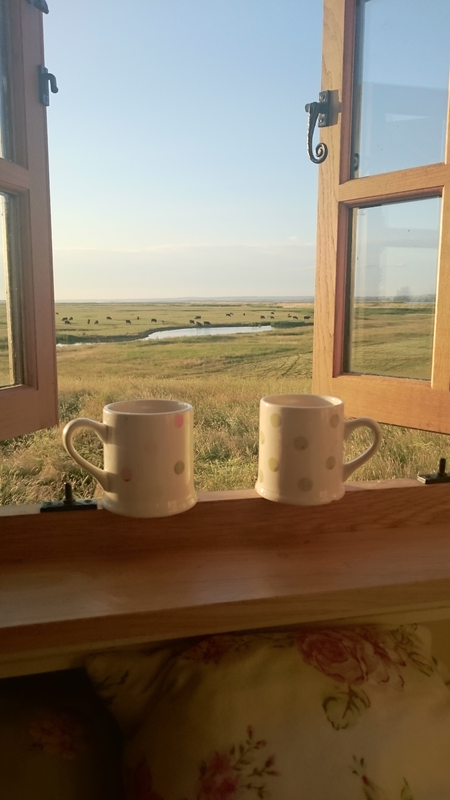 Elmley is a family run national nature reserve and farm and it’s owners, Gareth and Georgina, have installed a new hut – The Saltbox. It looked out-of-this-world beautiful and completely simple all at the same time. 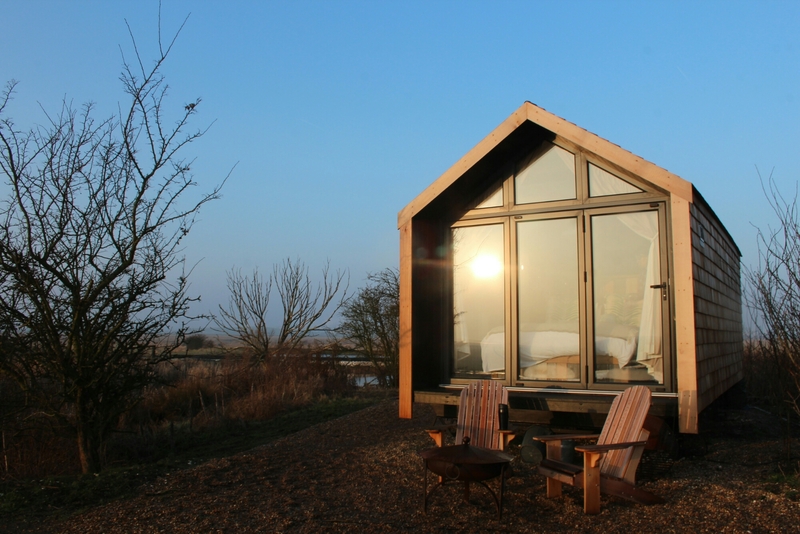 The Saltbox is named after the mounds of salt traditionally stored on Sheppey, having been harvested from the salt marshes. 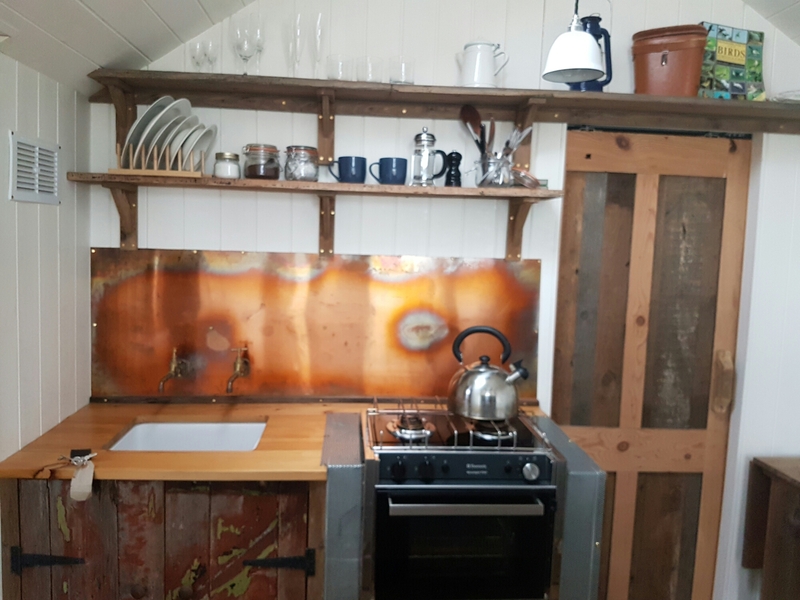 With en suite shower and bathroom, a king sized bed, a ship’s oven and hob, running water and electricity, the hut has all the home comforts you need (I’m a fan of camping. In summer. 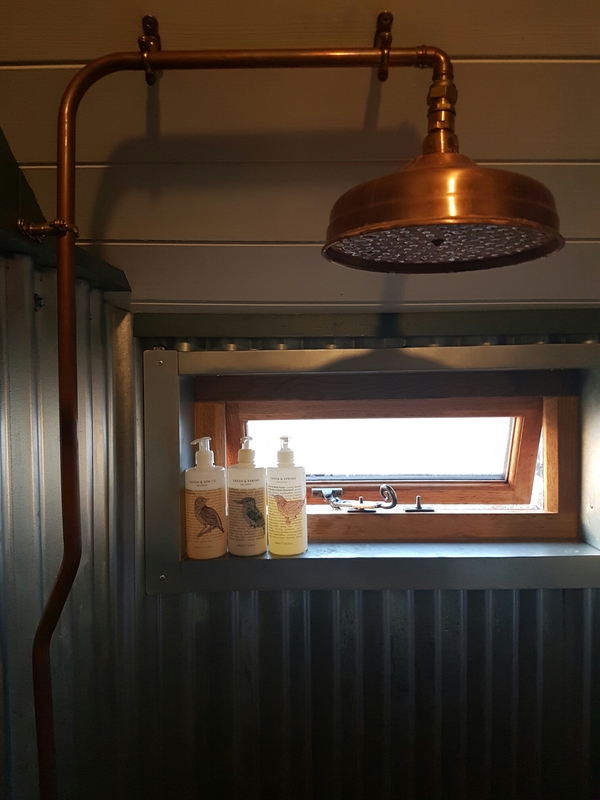 When my hair won’t take hours to dry and I’m not at risk of freezing my extremities off in a field somewhere…) including gorgeous furnishings from Kent companies Fable and Base and Romney Marsh Wools. But it’s best selling point are the bi-fold floor to ceiling windows. 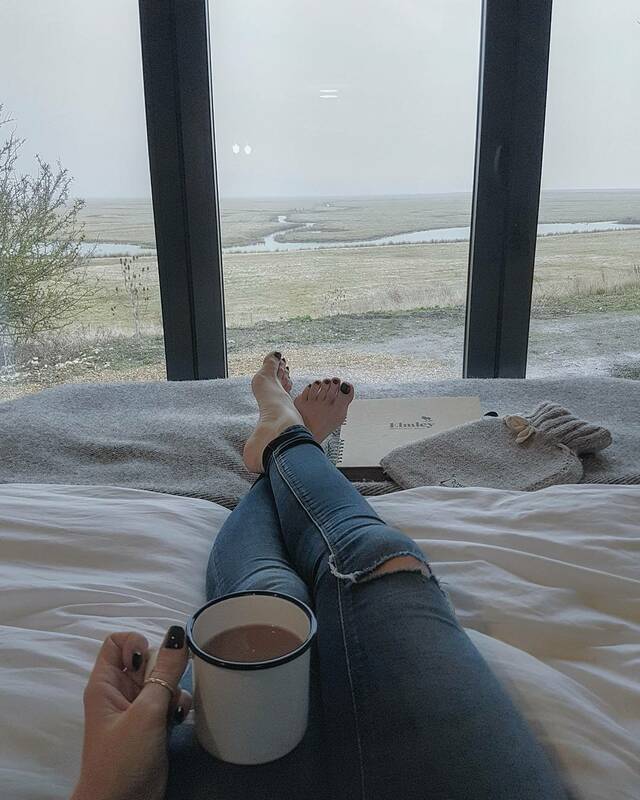 With spectacular, breathtaking views across the reserve, you feel like part of it from the comfort of your bed. 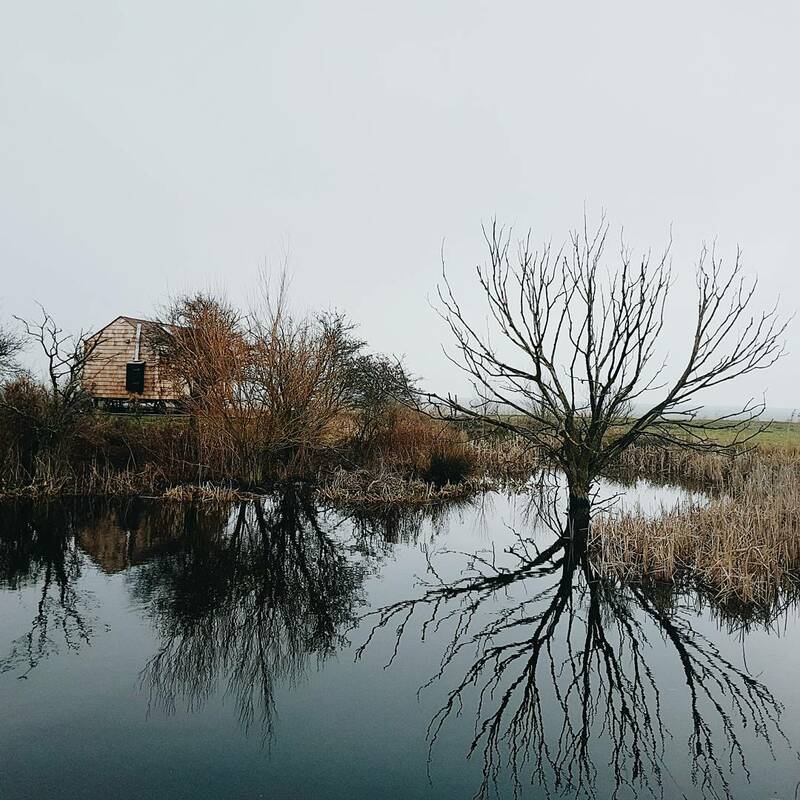 The reserve itself is the only privately owned nature reserve in the UK and as such has some rules to ensure visitor’s impact on the environment is minimal. It is breathtakingly beautiful. On the Sunday morning of our stay I woke up to a barn owl hunting right outside the window (shut the curtains at your peril – it’s worth leaving them open to watch the sun rise and then go back to sleep again) about 6 foot from the end of my bed. Another thing I love is owls, but had never seen one in the wild before. I think I held my breath for a full 5 minutes whilst watching her swoop and swerve, quartering her way across the marsh land. I’m not the world’s best bird watcher (my 5 year old who is a bit obsessed with birds is teaching me. I vow to take him to Elmley one day) but I do know I saw moor hen, ducks, widgeon*, lapwing and heron as well as the famous Marsh Harrier. 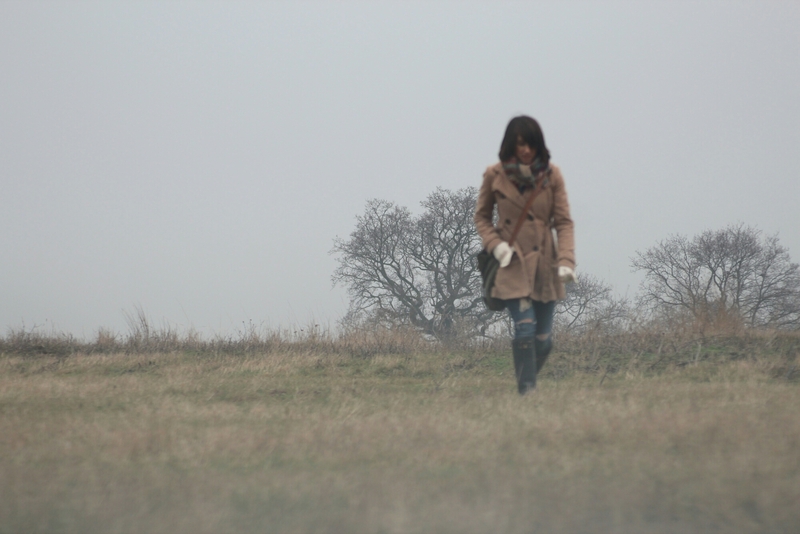 Hares would wander past the hut at dusk and dawn and stoats could be seen playing amongst the long grass. 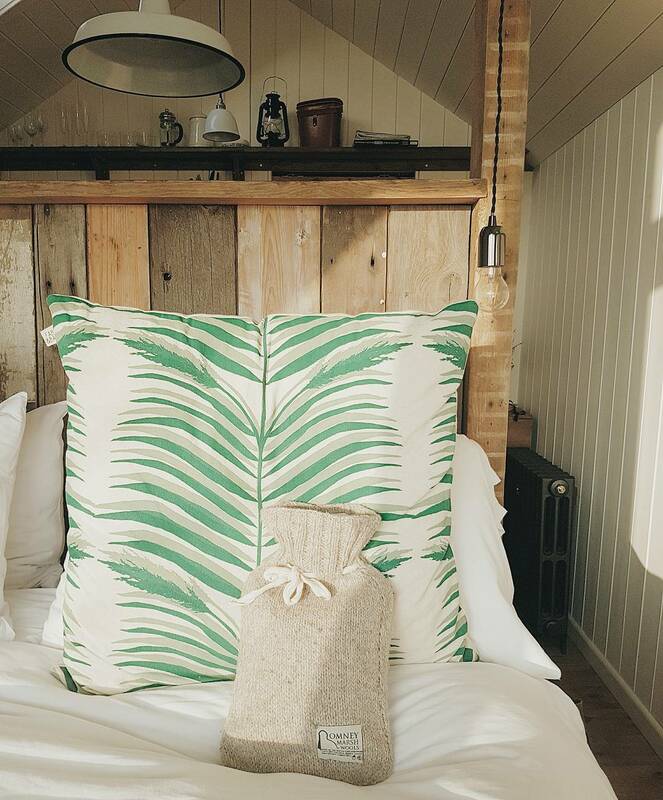 The hut can sleep four with a double bed, a pull out bench which becomes a reasonable single, and a hammock which would be fantastic fun for kids. There’s also a travel cot should you need it. 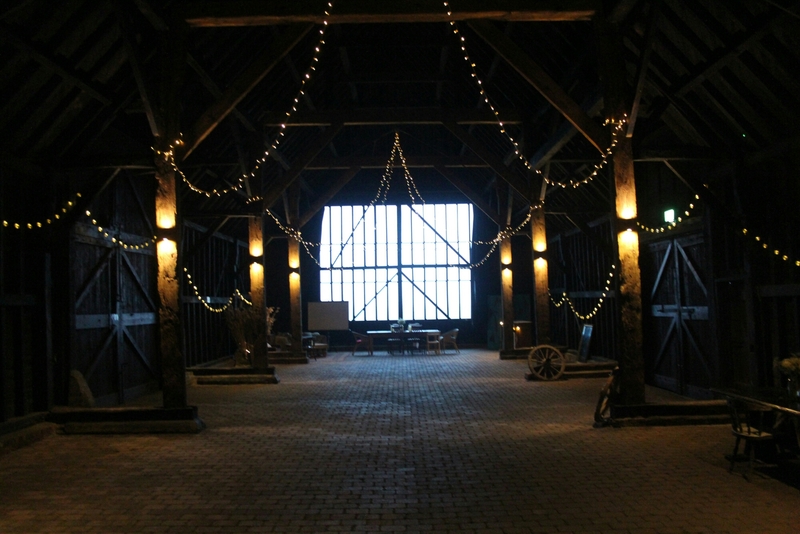 There are 3 other huts on the reserve too and the most spectacular weddings are held in the barn (which otherwise is left decked out with fairy and festoon lights and has a TV, dvd player with projector, and sofas and tables for whiling away evenings). 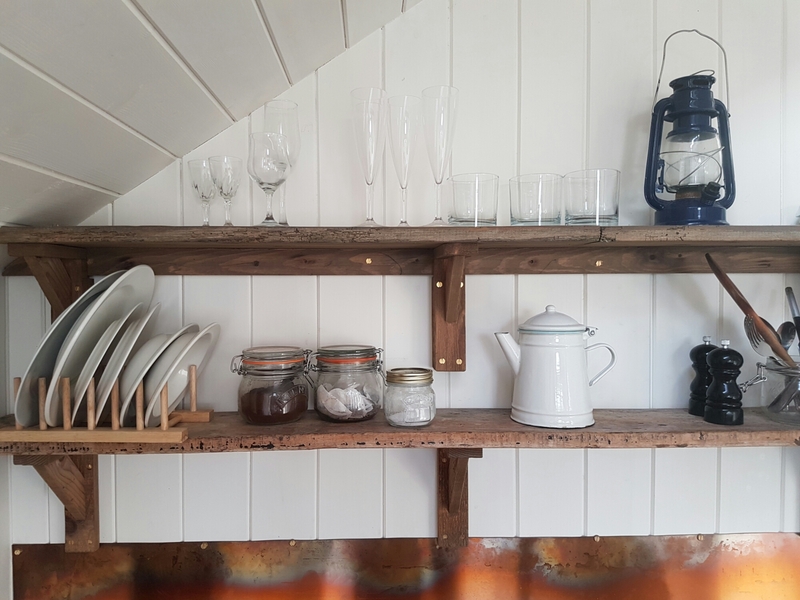 Gareth and Georgina are incredibly accommodating hosts and really do think of everything. Their communication from the moment you book or enquire is second to none. 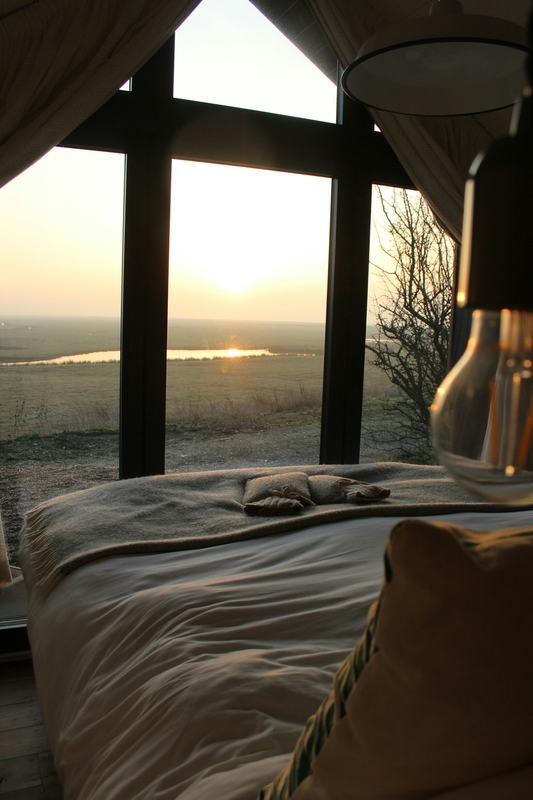 Elmley is just on the Isle of Sheppey in Kent, about an hour from London. It’s a really good base for exploring East Kent, being about 40 minutes from both Canterbury and Whitstable. We wandered around the picturesque village of Chilham near Canterbury, stopping for a couple of pints in the Woolpack pub and then went on to Whitstable. Faversham is also worth an explore – especially if you’re partial to pint or 2 as Shepherd Neame have their brewery there and do great tours. 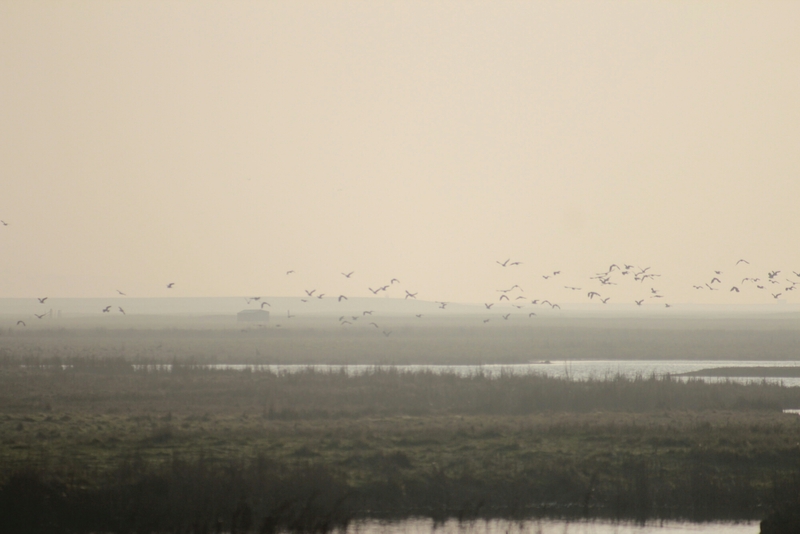 If you fancy a real escape from the world, stay on the reserve, pack a bag of supplies including a half decent camera and spend the day walking, spotting wildlife and staring into the wild landscape. There are over 3,200 acres to explore, and I’ve still not even seen half of it after 2 trips. Gareth will sometimes do tours as well if you’d like the company of an expert – ask when you book. Next > Discovering somewhere new on your doorstep… Well. Almost. It looks and sounds completely amazing. A real break from everyday busy life. I love how big the sky is.